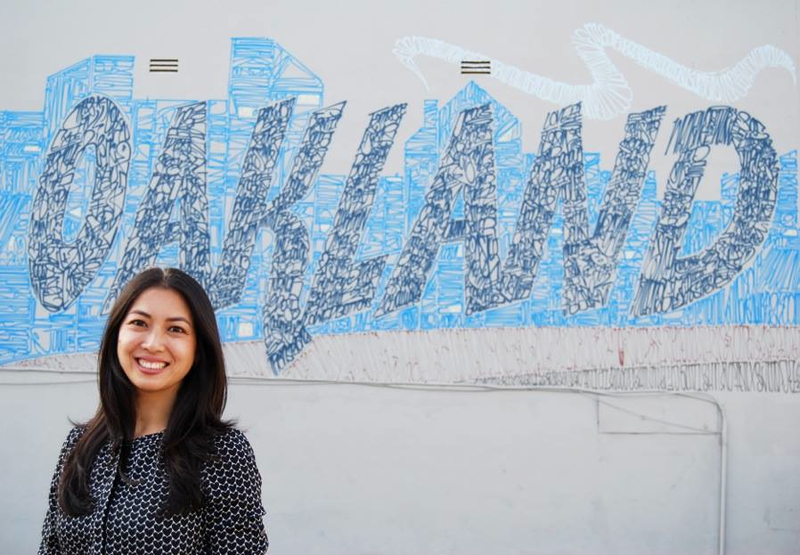 OAKLAND — Aimee Sueko Eng is running for the District 2 seat on the Oakland Unified School District Board of Education in the Nov. 4 election. Her opponent is William Ghirardelli IV, founder and CEO of Greenside Development Foundation. The winner will succeed David Kakishiba, whose third term ends in January. District 2 schools are American Indian Public Charter School II, Bella Vista, Cleveland, Community School for Creative Education, Crocker Highlands, Dewey Academy, Franklin, Garfield, Gateway to College at Laney College, LaEscuelita, Lincoln, Roosevelt, MetWest, Oakland, Oakland Charter High School. Eng is a fifth-generation Oaklander with a family tradition of service, philanthropy and public school advocacy. With a B.A. from Wesleyan University and a M.A. in education from Stanford, she is dedicated to making sure Oakland schools have the resources they need to prepare children for successful futures. The daughter of life-long educators and the granddaughter of Oakland’s first Asian American elected official, Eng has devoted her entire professional career to improving public schools and expanding opportunities for East Bay children. As senior program at the Thomas J. Long Foundation, she manages a $30 million education initiative to improve student outcomes. Great Oakland Public Schools, a nonprofit community organization network of educators, families and community leaders, has endorsed Eng. After a thorough review of the candidates that included a comprehensive community endorsement process, the GO Board of Directors voted unanimously in favor of Eng. She has direct experience working with programs related to many of Oakland’s most critical issues, including college readiness and access, early childhood education, and chronic absenteeism. Her priorities will be to increase student college readiness, expand career pathway programs, retain effective teachers, and reduce dropout. “Reduce dropout rates. We must increase graduation rates for all students and provide effective college and career pathways. “Recruit and retain quality teachers. I strongly support providing our teachers, counselors, and school staff with the tools they need to create high-quality teaching and learning environments. In addition to Kakishiba, who is currently president of the board, Eng’s endorsers include school board members Jumoke Hinton Hodge (District 3) and James Harris (District 7); former board member Toni Cook; Oakland City Council President Patricia Kernighan; former Oakland City Councilmember Danny Wan; Port Commissioner Alan Yee; Alameda County Superintendent of Education Sheila Jordan; Alameda County Board of Education Trustee Ken Berrick; Peralta Colleges Board President Abel Guillen; Alameda County Supervisor Wilma Chan; and Assemblymember Rob Bonta. Eng also has the backing of such organizations as the Alameda County Democratic Party, Alameda County Central Labor Council, National Women’s Political Caucus (Alameda North), Asian Pacific American Democratic Caucus of Alameda County, East Bay Young Democrats, AFSCME Council 57, SEIU 1021, and Planned Parenthood Advocates Mar Monte.